Toronto (ON), Canada - Zevrix Solutions announces BatchOutput XLS 2.5.6, a maintenance update to the company's output automation solution for Microsoft Excel on macOS. 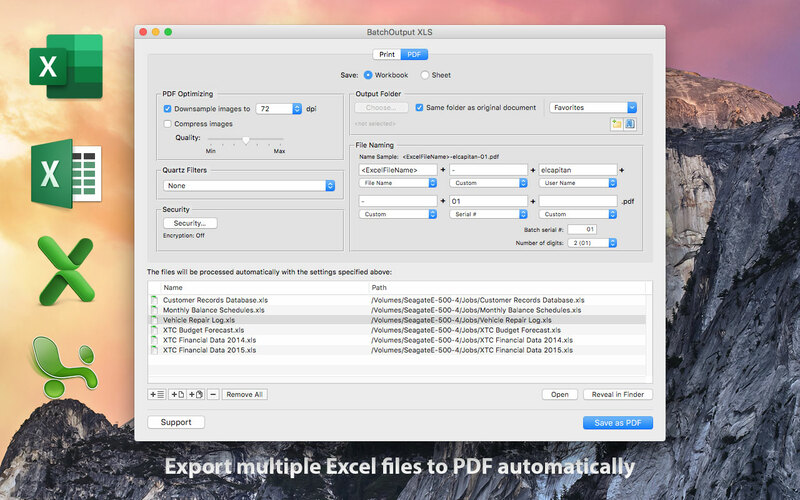 The only batch processing tool for Excel on the Mac market, the software helps users eliminate repetitive tasks through automation of printing and professional PDF output. The new version eliminates the hassles associated with Apple Event sandboxing, a new security measure introduced in macOS Mojave. Under the new policy, different apps can no longer interact with each other without prior user authorization. This change directly affects BatchOutput XLS which requires access to Excel and other system resources to perform complex workflow automation tasks. The new update streamlines the authorization process by clearing all permissions during launch time, which eliminates workflow interruptions during file processing. BatchOutput will also reset Apple Event permissions automatically if the authorization was previously revoked by accident. "I have enjoyed BatchOutput XLS for years now," says Steve Nelson Martin of New Hope Foundation in Beijing, China. "It has really been a huge help for me to process hundreds of Excel documents into various PDF reports." BatchOutput XLS can be purchased for $19.95 (USD) from Zevrix website, as well as from authorized resellers and Mac App Store. Trial is also available for download. BatchOutput XLS requires macOS 10.7-10.14 and Microsoft Excel 2008, 2011, 2016 or 2019.